As Minneapolis plunges headlong into summer, the sun may stay out longer each day, but the nights are still plenty dark. With that in mind, Light Grey Art Lab will be unveiling Fairly Dark, a collection of solo exhibitions featuring new work from Nico Delort, Sishir Bommakanti, Natalie Hall, and Kathleen Jennings that explores all things mysterious, shadowy, and beautiful. Nico Delort creates narrative-focused, intensely detailed drawings using the reductive medium of ink and scratchboard. Combined with Delort’s patience and dedication to craft, this medium gives his work a uniquely classic style which could easily live alongside etchings from eras long past. Known for his meticulous craft, time-honored aesthetics, and a dramatic approach to light and dark, his evocative black and white drawings create mysteries from stirring environments, cinematic compositions, and fantastical characters. Delort creates drawings, illustrations, and limited-edition posters across a variety of industries and his clients include Lucasfilm, Penguin Books, Mondo, and Blizzard Entertainment. Sishir Bommakanti’s works exist on the fringes, exploring the corners of the weird, ancient, paranormal, morbid and everything in-between. His illustration work is a synergy of abstract narrative and experimental media and often feel halfway between consciousness and waking from a nightmare. Bommakanti is always creating, sketching, drawings, painting - and these dark and frenetic images are layered and recomposed to create mood and narrative. The separate elements have been drawn from a variety of references throughout time and space, all clumped and collaged together to produce some form of narrative apophenia. Sishir has created work for publications such as Popular Mechanics, Broken Eye Books, Nautilus Magazine, Narratively, UNRB, and The Pitch. Natalie Hall’s gorgeous, gestural drawings could be mistaken for drawings pulled from an explorer's journal after an ill-fated expedition into a dark and fantastic land. Filled with gothic characters, monsters that can be simultaneously grotesque and graceful, and mystical symbolism, Hall is known for her luscious and gestural sketchbooks and will showcasing several during Fairly Dark for visitors to pour over. Hall is an LA-based tattoo artist and illustrator who has created work for Dreamworks, RIOT Games, and Guillermo Del Toro. Kathleen Jennings is an award-winning illustrator and writer based in Brisbane, Australia whose work has roots in the past, with characters and details that would not seem out of place in a century-old illustrated book. 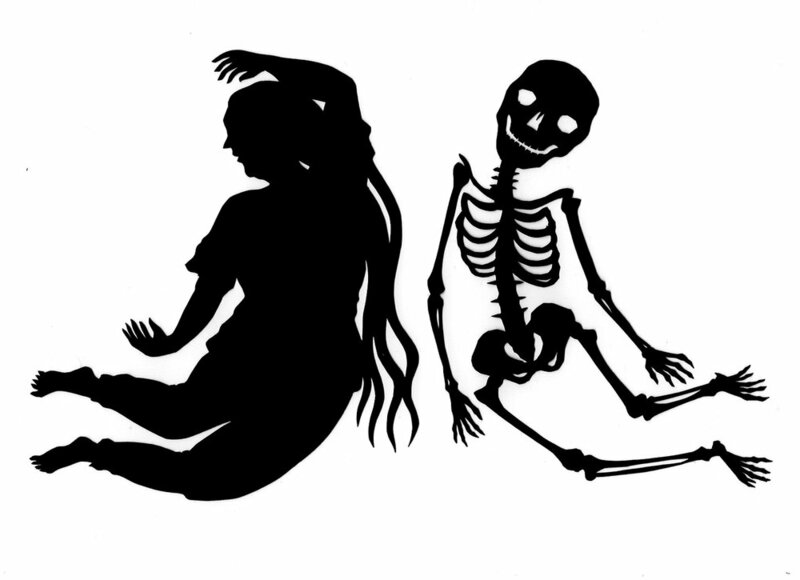 Her mediums of choice lend themselves to this aesthetic, working in pen and ink and cut paper silhouettes that can seem effortless and charming, but often reveal a sometimes dry and morbid, Gorey-esque sense of humor. Drawing heavily from folklore and fairytales, Jennings' work feels at once modern and timeless. Over her career, Jennings’ has illustrated for clients such as Tor.com, Small Beer Press, Subterranean Press, Tartarus Press, Ticonderoga Publications, FableCroft Press, Odyssey Press, Andromeda Spaceways Inflight Magazine and Canberra Speculative Fiction Guild. The opening reception for Fairly Dark is Friday, July 7th from 7-10 PM. The evening kicks off with an open and frank discussion artist talk followed by a Q&A session with the audience. A Drink & Draw will immediately follow the artist talk, and visitors are invited to pull out their sketchbooks, grab a seat, and join members of the international illustration collective THE VACVVM as they create, converse, and share a laugh over drinks around Light Grey Art Lab’s banquet tables. Panel participants and local creatives will be on hand for conversation and art-making in a relaxed atmosphere, surrounded by the new work featured in the Fairly Dark collection. Light Grey Art Lab will have refreshments of all varieties on hand, so visitors of all ages are invited to participate. The work will remain on display through September 1st. The opening reception is free and open to the public.